The Hague (AFP) - Dutch artist M.C. Escher was a master of illusion. But in a row as mind-boggling as his intricate black-and-white images, a museum dedicated to his work is apparently mostly displaying reproductions. 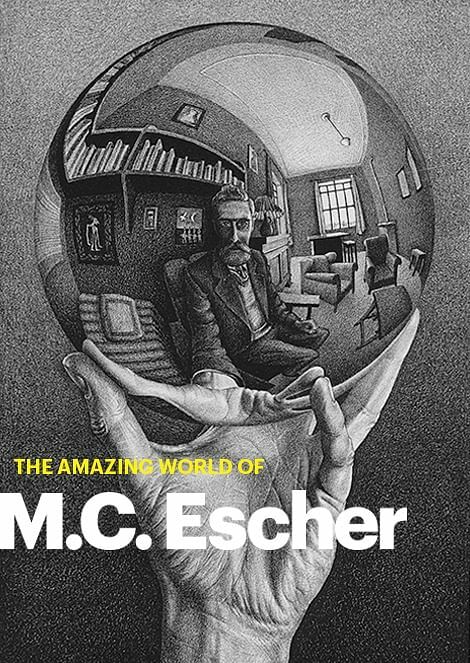 Some 150 works by Maurits Cornelis Escher are on view at the Escher Museum in The Hague, with the agreement of the M.C Escher Foundation. But the curator of the foundation, set up by Escher in 1968 to protect his legacy, says most of the works on show are not originals. "For the past 13 years they've been conning the public," curator Mark Veldhuysen told AFP. He acknowledged that since some of Escher's work was on delicate paper the foundation had agreed that "if there is a print in terrible condition that needs to be restored, they can put a copy up." "But they should put a note up that this is not the original," Veldhuysen insisted, saying there were no such notices on display. "It's like going to the Rijksmuseum (in Amsterdam) and looking at The Night Watch by Rembrandt and everybody says it's the original, but in fact it's painted in China." After complaining to the museum several times, Veldhuysen said the foundation is now seeking talks with the municipal authorities who oversee the Escher collection to rectify the situation. Escher, who was born in 1898 and died in 1972, was one of the 20th century's most famous graphic artists. His mathematical masterpieces are optical illusions of gravity-defying, topsy-turvy worlds where ceilings become floors and nothing is as it seems. One of his most celebrated images "Ascending and Descending" (1960) shows two lines of people trudging forever upwards and downwards on an impossible four-sided eternal staircase. That picture is currently part of a touring exhibition, The Amazing World of M.C Escher, at the Scottish National Gallery of Modern Art, Edinburgh until Sunday. The show, featuring original works loaned by the Dutch museum, moves to London's Dulwich Picture Gallery next month until January 16. A spokesman from the Escher Museum did not immediately reply to an AFP request for comment. But Benno Tempel, the museum's director, told the centre-left Volkskrant daily that he was surprised by Veldhuysen's criticism. "The foundation has approved the licence agreements stating that we can make reproductions. And there is a sign at the entrance saying that reproductions are used."